The Minibrute is back. It’s bigger, fatter, fuller and infinitely more pluggable than the original. They are still running a sort of unconvincing tease campaign where they are withholding the full details until tomorrow. But they’ve given us a video and a handful of copy. 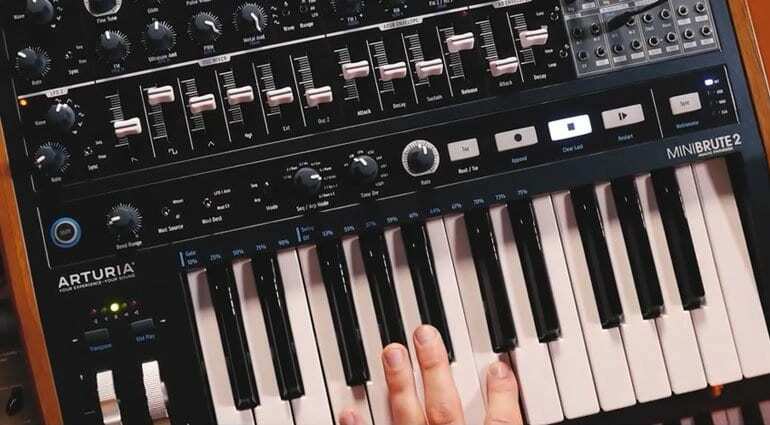 So we’ve got a pretty good idea what the MiniBrute 2 is all about. 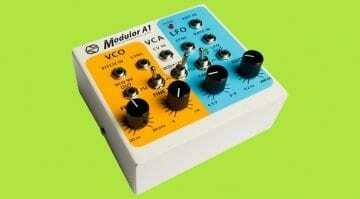 Right off the bat, this is a synth that is fully aware of the modular world around it. The original MiniBrute had a CV/Gate socket on the back but it was the MicroBrute that brought in a bay of patching potential. 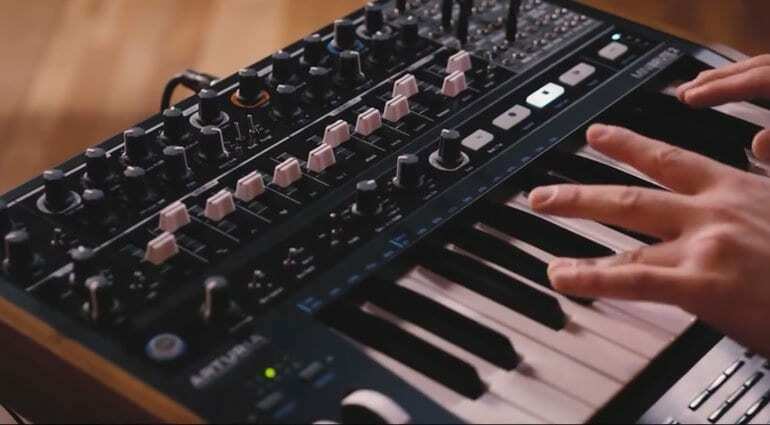 The MiniBrute 2 takes this to a whole new level with 48 patch points turning the monosynth in a semi-modular, Eurorack compatible synthesizer. 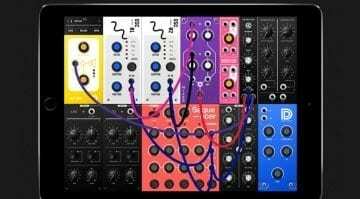 It has 2 oscillators, 2 LFO’s, a multimode Steiner-Parker filter, a slider based ADSR and AD envelope and a mixer for blending all the waveforms along with an external input. 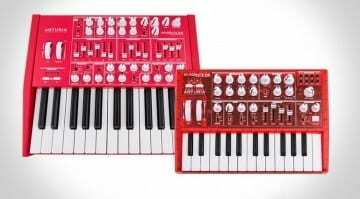 So it has all the usual synthesizer things competently covered. But there are some nice touches like the Metalizer, Glide and Ultrasaw modulation on VCO 1, the Brute Factor in the amplifier, the looping AD envelope that can be a gate or trigger. 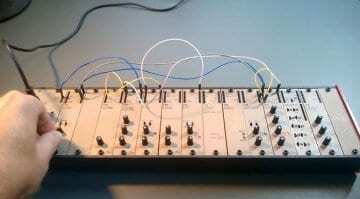 The arpeggiator of the original has been expanded into a step-sequencer with 8 different modes. The look combines their modern style with vintage wooden cheeks and rather retro looking white fader caps. The keyboard apparently is a shorter version of the one found on the MatrixBrute complete with routable aftertouch. There’s also something about being “Link Compatible”. We don’t really know what this refers to yet, but the weird hole in the side appears to have a screwthread. Maybe it’s for strapping two together? Availability is going to be the end of February and you can bet they will have these on show at NAMM in a couple of weeks. They also say that this is one of three new products they will be releasing at the same time. That’s exciting. Hopefully tomorrow will fill in the details.